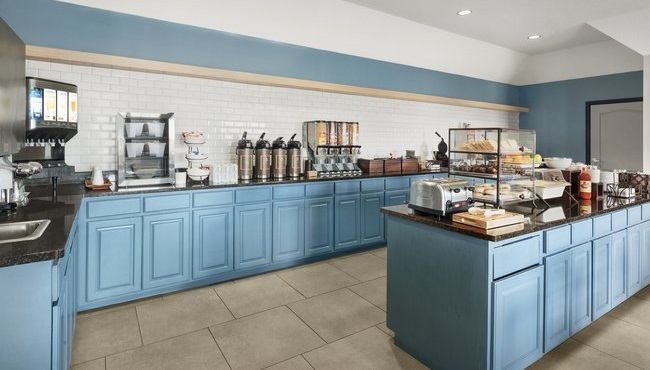 Before setting out to explore, fill up on our free, hot breakfast at the Country Inn & Suites, Kansas City at Village West, KS. Indulge in favorites like homemade Belgian waffles, yogurt, omelets and biscuits with gravy. Sip a cup of hot coffee or tea while you read the free weekday newspaper or surf the Web with free high-speed Internet. For lunch or dinner, take advantage of the free shuttle to visit nearby restaurants like Arthur Bryant’s Barbeque or Danny’s Bar & Grill, offering up burgers and wings.